Did you know Zesta also designs Laundries? Women spend 16% of their day and men 13% doing laundry according to American Time Use Survey – that’s a lot of time in the laundry! Therefore, you really want a nice surrounding where you can dump all the clothes, washing baskets and even hide that fold out clothes rack for those wet items to dry when time poor or too wet to pop on the line before heading out the door. We are very proud of our fresh, clean laundries being installed for our customers around Melbourne. Laundries cupboards are available in any style door door and in this case can even be matched to your kitchen style as most of our customers are finding works well. Quite often the laundry is hidden behind the kitchen or in close proximity for ease of cooking and washing simultaneously. A large benchtop space will ensure lots of room for powders, household cleaners, baskets, folding washing – the list goes on. 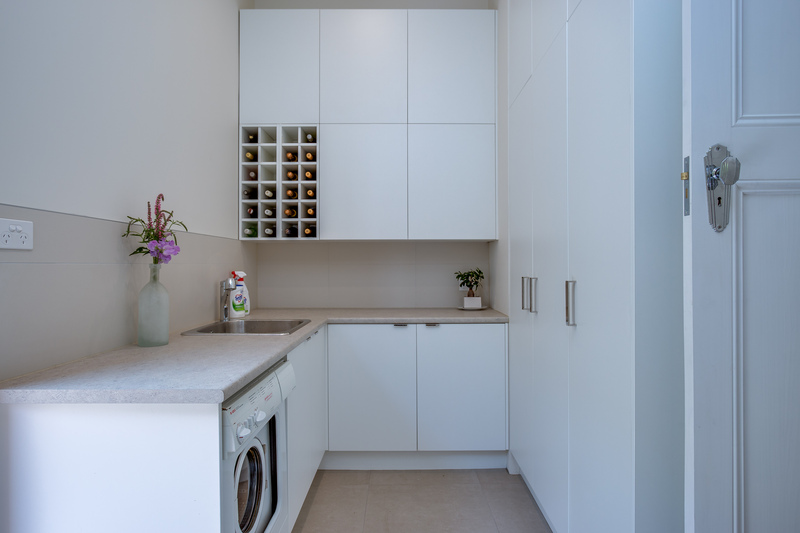 We especially love the extra cupboard storage space on the right which holds all the sheets, towels, shoe shines and other numerous pieces we all have in our home, all hidden to provide that tidy look. 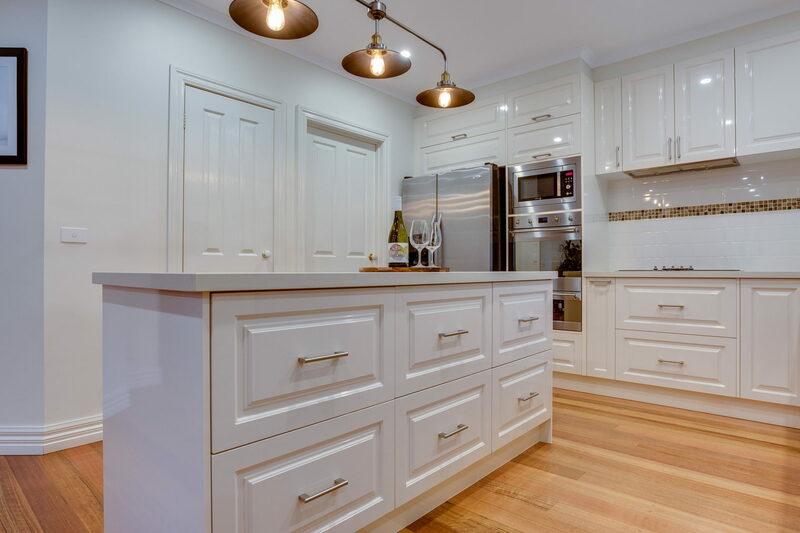 So don’t forget when you are looking to renovate your kitchen or laundry ask for a professional design to keep consistency in your home whilst also building better dollar resale value.